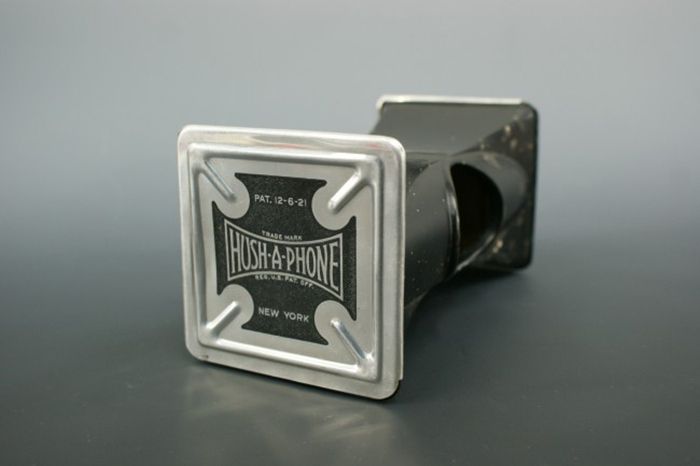 The Hush-A-Phone is hardware-hacking 1950s-style; a device for “safeguarding privacy, quieting the office, and improving hearing in noisy places”. 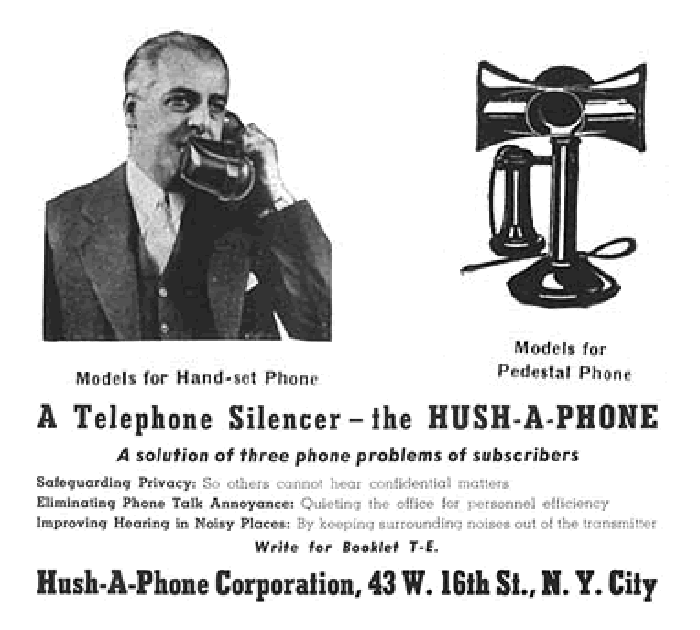 The makers of Hush-A-Phone were sued by Bell Telephone, who leased telephones to customers (Hush-A-Phone won the case, with the court saying that Bell’s argument was not “just, fair, and reasonable”). 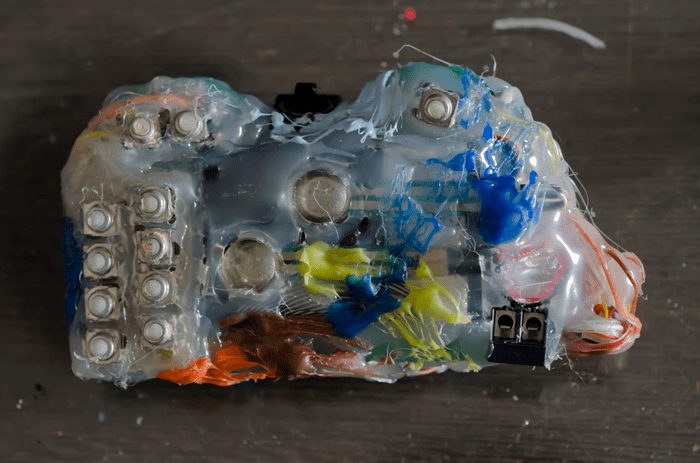 A different style from the usual here: this “hacked PS3 controller” seems somehow perfect after having just watched Prometheus. 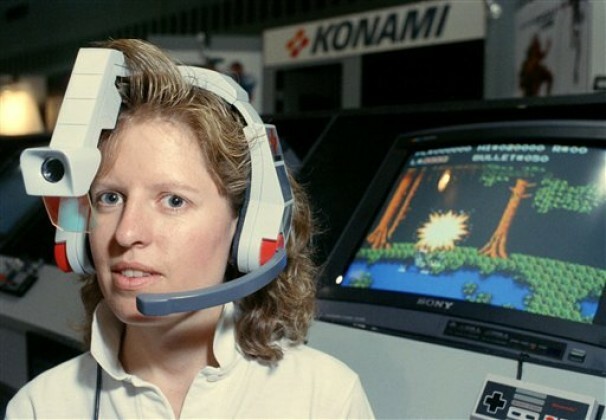 A sort of “hello world”, using Morse code via blinking while lucid dreaming – details and other interesting projects at the LSDBase.